Mascaras are one thing I’m always asked about and thats mainly because they look confusing…and are confusing! Theres a whole manner of different brushs and formulations – and everyone wants to right one for them and they’re lash type. So here I’m going to break down some of the best mascara types I’ve used and help de-myth the world of lashes! 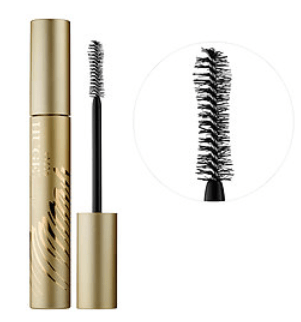 Sparse wirey brushes like this Stila huge extreme mascara are the way to go for wispy, naturally long fluttery looking lashes! 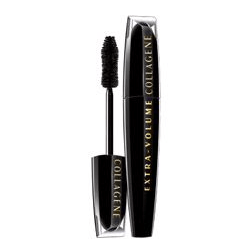 Big dense brushes like this Loreal Extra Volume Collagene mascara are great for adding volume and dense darkness into the lashes. Lots of bristles means its great for a good coating on every lash! 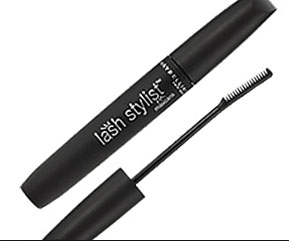 Like the best selling OG mascara maybelline great lash, a traditional brush is designed to be an all rounder. length and volume. The bare essentials. Like this Lancome Doll lash mascara, tapered brushes create extra volume on the wings of the eye and allow precise definition on the inside corners of the eye to catch every last lash! 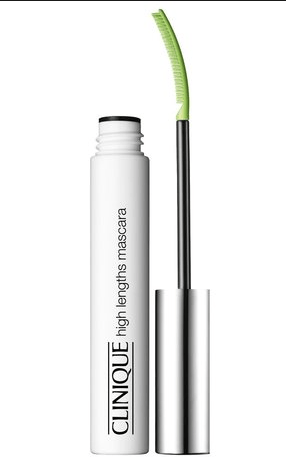 Mascaras that curve are designed to fit around the shape of the eye, hence lifting and curling. My favourite! Perfect for those who want cat eye flicks on the lashes, the S-bend pushes up the outside corner lashes and creates drama and impact. Wands like the lash stylist combs are great for the people who love long separated lashes. Like a mascara and lash comb in one! WHAT IT DOES: PUSHS UP AT THE ROOTS, FITS THE LASES AND COATS TOP AND BOTTOM OF LASH’S IN ONE. 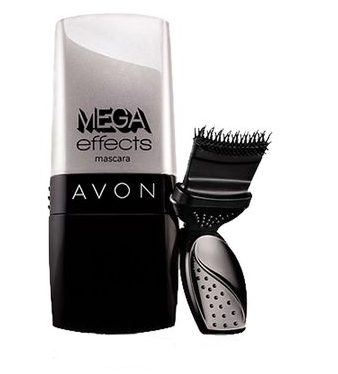 This Mega Effects by Avon type of wand might look intimidating but this is great for a variety of people, the angle of the bristles means you can get several types of cover. Changing the degree angle you hold the brush out gives you different effects from quick to full application. 0° gives you quick application and volume, adjust to 40° to apply to upper and lower lashes, and 90° gives you full application from root to tip. The brush also ensures a really dense coverage. WHAT IT DOES: COATS, ADDS LENGTH, CONDITIONS. 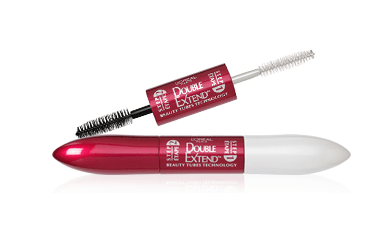 One of my favourite mascaras ever, the Loreal double extend, this one os not for the fan of the natural looking lash but wow does it makes your eyelashes look long. Let the white side primer dry before adding the mascara for the extra length, conditioning and in this mascaras case – fibres that extend. WHAT IT DOES: SEPARATES, ADDS DEFINITION. The plastic round brush like that in Benefits They’re real mascara is brilliant for giving you all the drama of a round mascara burns but with the definition and clump avoiding aspects of a plastic comb! 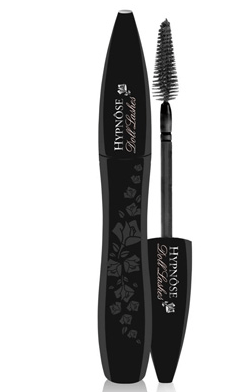 Theres several different types of mascara hybrids, such as Clinique high definition and Loreal false lash sculpt. The great thing is you can get one to suit your exact lashes and needs. Above you can see the Clinique mascara with half comb, half traditional brush for volume and coating and half comb for definition and separation. This also has an S shape as well. perfect. 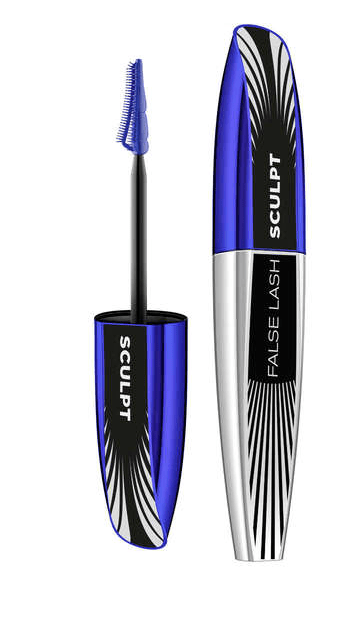 The other example above, Loreal Lash sculpt is a curved double comb, shaped to create a tight line effect on the eye (like a mascara liner where the lashes sit) and also to fan and separate the lashes. 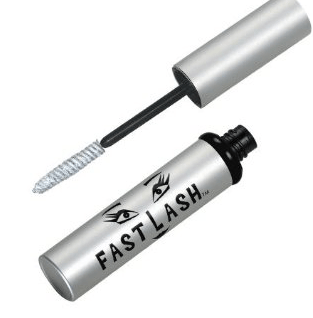 My favourite lash fibres like Tweezerman fast lash is best used on wet mascara before adding an extra layer and build up several layers like that. The fibres stick to the ends of wet mascara, creating extension, swell and get coated with the next layer of mascara. Beware: use sparingly and with a lash comb to avoid mega spider lash. Regular mascara is great for every day lashes and also for those who don’t like taking off waterproof mascara! They shouldn’t budge in day to day wear but some mascaras can smudge with creamy concealers and moisturisers underneath the eye. Waterproof mascara – great for places where hot, humid or wet conditions are involved, crying in movies, weddings and tearful occasions, or those that have trouble with straying under eye mascara, but the down side is everyone knows waterproof mascara is a nightmare to remove. 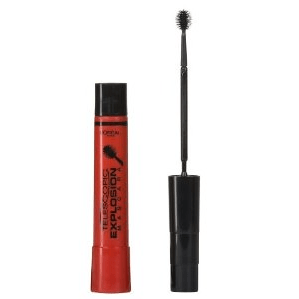 Tube mascara – The relatively new kid on the block is hands down my fave. 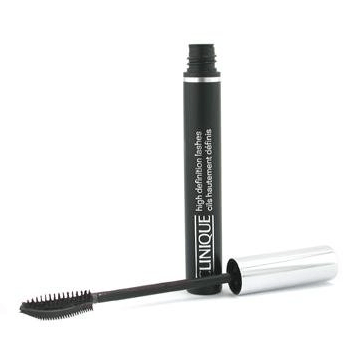 no smudging, flaking, or coming off without the headache of waterproof mascara remover. The mascara coats each lash, and under warm water – They come off in ‘tubes’ that look like little spider legs for an easy smudge free removal. Some great examples are Loreal beauty tubes ( it comes in double extension too, swoon!) 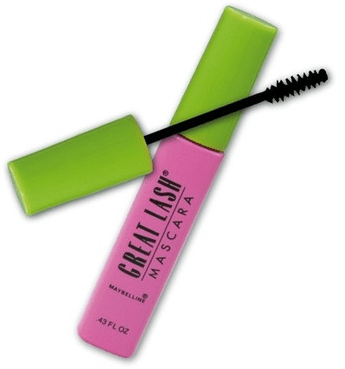 others include Becca, Blinc and Bobbi Brown which all do versions of the amazing mascara. 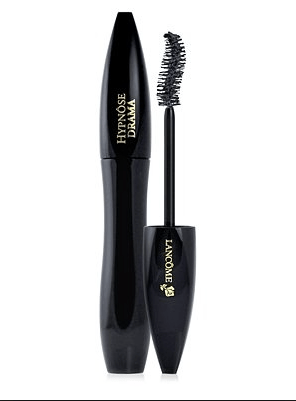 If you have a mascara you love – but not keen or want to try a different brush. 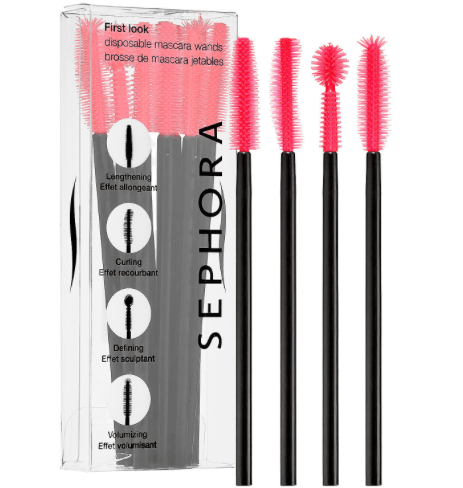 Why not try Sephora’s disposable brushs, you can use them in your favourite product and they don’t have to be disposed of if only your using them!…you can then try out several brush types without the commitment to using it for the next three months! Previous Article← Contour RAZOR SHARP cheekbones using tape + a store card!